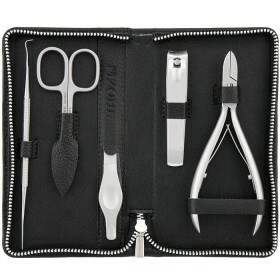 The German Manicure Set Magneto is a comprehensive collection of the best manicure instruments for your nail care in professional style. 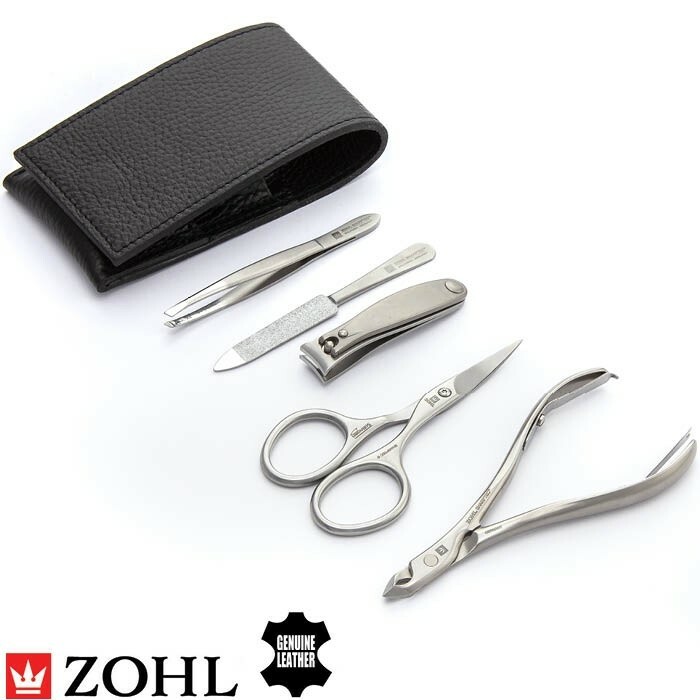 Made in the German city Solingen from surgical stainless steel, the nail tools are precisely ground and perfectly sharpened for clean cutting. 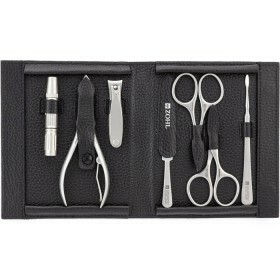 The set is beautifully presented in the black leather case and includes high quality nail clippers, fingernail scissors, cuticle nipper, nail file and slant eyebrow tweezers. 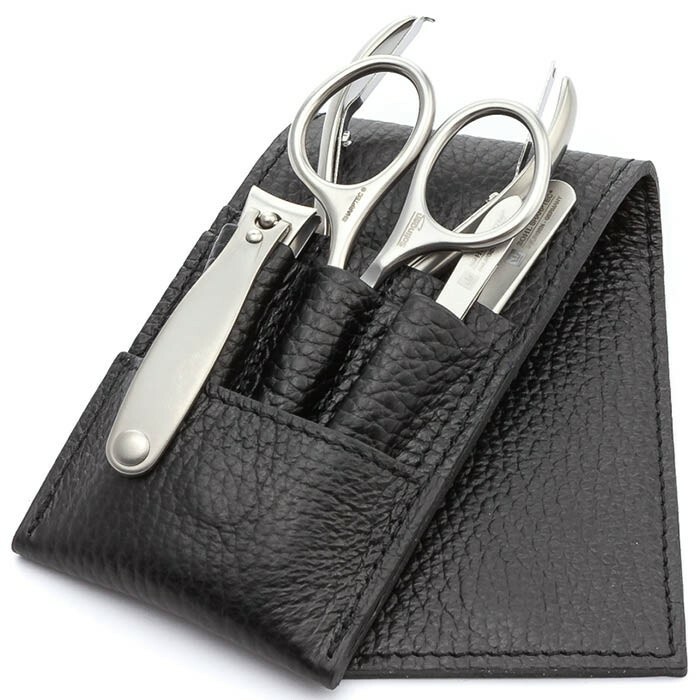 Combining the finest Solingen craftsmanship and long lasting durability, the Magneto is an excellent manicure gift set for those who trust only the best manicure tools to take care of their nails. Whether as a Christmas gift or a Birthday present, the Magneto will transform your nail care regimen into an enjoyable core. 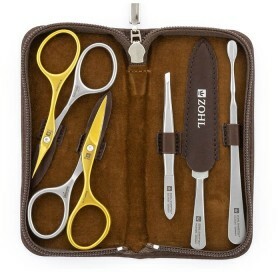 Among the best manicure sets, ZOHL Magneto is a distinguished creation thanks to its SHARPtec nail tools that delight with long lasting sharpness of the cutting edge. 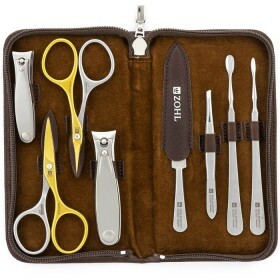 It is hand crafted in Solingen (Germany) by dedicated artisans who take pride in making the highest quality manicure instruments for home use. 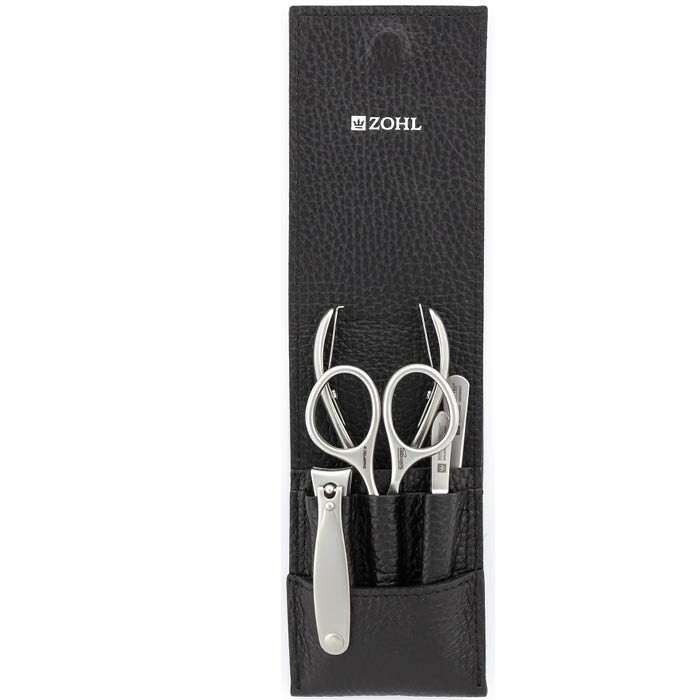 The ZOHL tools SHARPtec are made of strong stainless steel, hardened in a special way, to keep the blades sharp for many years ahead. Unlike cheaper alternatives, the strong material is what makes SHARPtec nail cutters work beautifully through many years, without blades dulling. This means you don't need to replace your manicure set for years and years, and will enjoy professional manicure while contributing to the reduction of landfill waste. 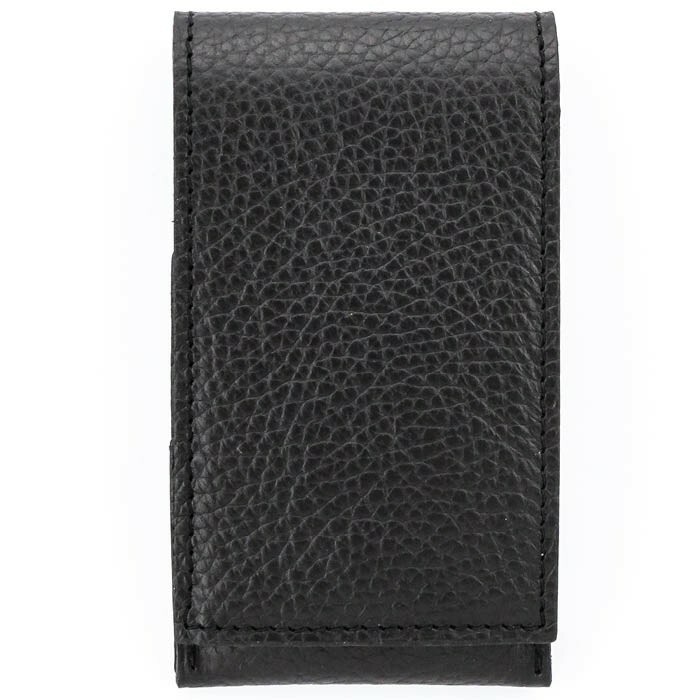 To highlight premium quality of the nail care tools, the luxury black leather case handsomely houses them in individual pockets, protecting from dirt and damage. 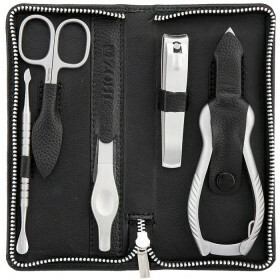 Just like the manicure instruments, the case is also crafted in Germany from high quality cowhide, lining the inside and outside. 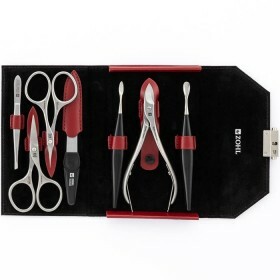 Sturdy magnetic closure secures the instruments for easy transport and adds further distinction to the absolute top quality manicure set you'll enjoy as a gift to yourself or someone special. 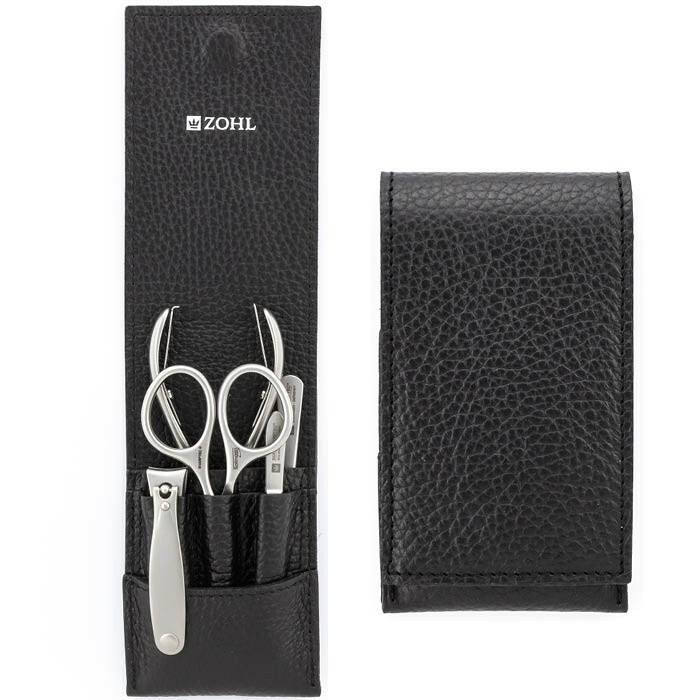 Nail Clippers (6cm) with advanced design and maximum stability in the hand, these Solingen nail clippers are the best ever clippers, according to our customers. 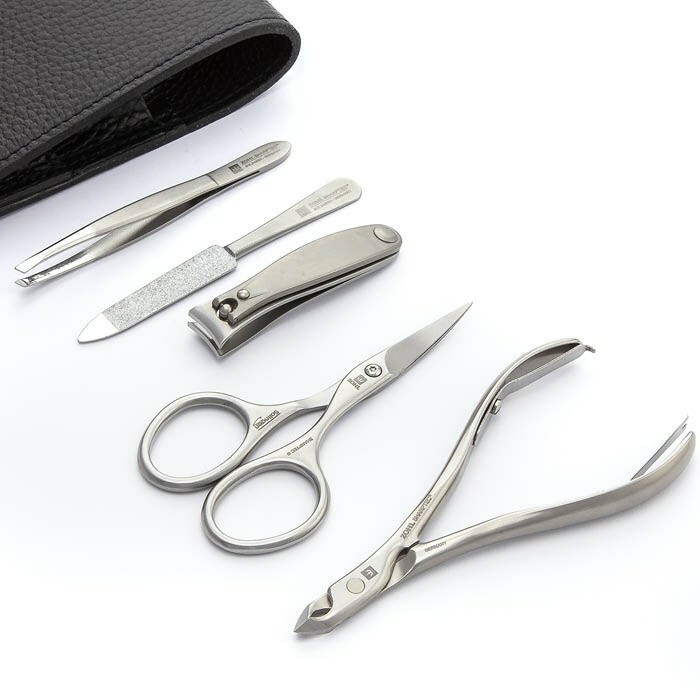 Nail Scissors (9cm) with slightly curved blades to follow the anatomical shape of your nails, and improved design for the most comfortable handling. 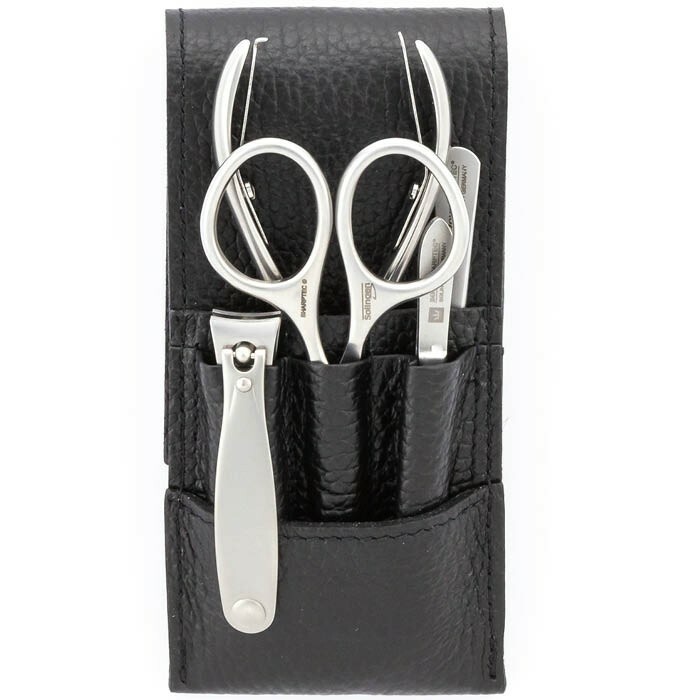 A thoughtful gift, the high quality Solingen manicure set Magneto is ideal for those who like to create the manicured look with the best nail care instruments.